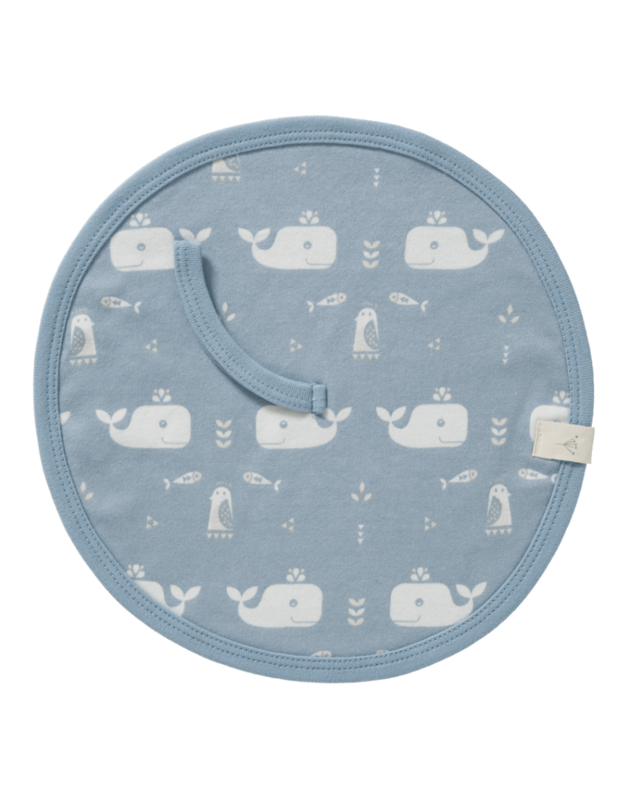 Pacifier holder Fresk from 100% organic cotton, whale blue! Wide choice at Grote Schatten - soft price - fast delivery. The ideal cloth for never losing your pacifier! The pacifier is always close to your baby with this beautiful and soft pacifier cloth. A practical and round cloth with a long loop to attach your baby's pacifier. This pacifier cloth is made of soft and 100% organic cotton. 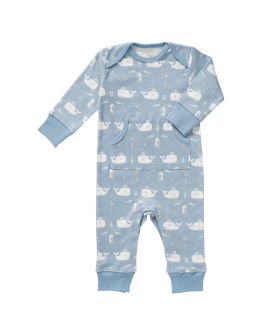 Fresk pajamas without foot - Whale bluePajamas without foot fox blue. Your baby will sleep and dream in these fine, soft pajamas, made from 100% organic cotton. The pajama has long sleeves and has no feet. The snap buttons at the bottom and the opening at the neck are super convenient and provide convenience in changing and putting on and taking off your baby's pajamas. At the front is a funny pouch bag with Mr. Owl on the lookout. Machine washable at 40 C° GOTS quality mark for organi..